From The Wild Atlantic Way to Ireland's Ancient East, Failte Ireland has created wonderful stories to make Ireland a memorable destination for tourists and staycationers. This has presented opportunities for almost every hotel, B&B, restaurant and pub in Ireland to grow sales. Killashee House Hotel on the Naas to Kilcullen Road is one hotel that stands out from the crowd. For a period in its long history it was home to the La Sante Order of Nuns and is now one of the most reputable destinations in Ireland. When the market rebounded after the downturn, Killashee came out of the traps with a very strong proposition. With a level of service more like a five-star hotel, Killashee is a four-star hotel punching above its weight. It is a diversified destination with 141 bedrooms, a flagship spa, ballroom, leisure centre and an excellent restaurant and bar. It also has a world-class conference centre that supports the needs of many international organisations, including the Kerry Group headquartered nearby. During the tough years, hotels in Ireland needed to be very versatile. Because the market was so difficult, they fought for every guest, whether it was a tourist, business traveller, domestic guest, a wedding party, or a conference group. But the needs of all of these customer groups vary and present challenges for any business to satisfy fully. Yet Killashee and others did to the best they could at the time. Looking ahead, Killashee is delighted to now have a spread of customer types so as not to be totally dependant on one sector exclusively. But it also respects the value in being focused on customer segmentation. For most hotels, the margin is in accommodation, more than restaurants and bars. So any customer segment that drives overnight accommodation has to be an attraction. Although there is a shortage of beds on the east coast, there is still a lot of competition. When booking ahead, guests have lots of choice. The challenge therefore for any hotel is differentiation and how to stand out from the crowd in the market. Also, while Killashee has a very effective central sales team that drives footfall to the property, the sales effort should be supported by the wider team on the ground. How to do this in a soft, non-pushy yet effective way is an essential consideration for any business, including Killashee. In discussions with Dee Nix (general manager), we focused on where practical and commercial changes have already been made. In my work with iconic retailers like Brown Thomas, Fortnum & Mason and Selfridges, I regularly hear them talking about giving five-star service. That of course is a term borrowed unashamedly from the hospitality sector. Those world-class retailers know that if they give customers an excellent shopping experience, it drives sales. Yet for some reason, I have found that hotels in Ireland, UK and Middle East don't use that sales lever quite as effectively. While service is definitely foremost in their minds and in their culture, I believe that they could maximise those strengths to drive even more revenue. Whether a customer is spending money in a hotel, store, bank, hair salon, or wherever, they make a judgment based on the overall experience, such as the quality of the 'product', the behaviours of their 'people' and the standards of the 'place' (environment). As with a three-legged stool, all three need attention or the experience will 'fall over'. Killashee has made lots of improvements in all three. My challenge to any organisation is to ask what makes you different? What category or market segment can you 'own' in terms of being the authority on, be best at and make money doing? 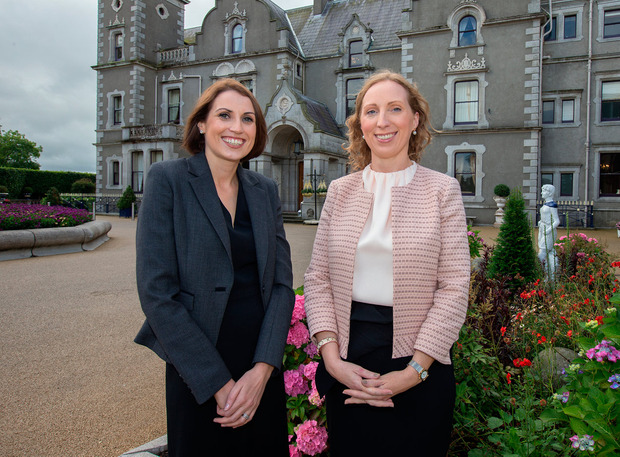 Killashee has cracked that by majoring in the Mice (meetings, incentives, conferences and events) market with great success. That doesn't mean that it does not get guests from other markets such as domestic, tourists, weddings etc. It just means that the staff concentrate a lot of their attention on the in-bound conference tour operators. They're enjoying particular success with domestic and international corporates because their facilities are tailored for that audience. While the corporate Mice market is attractive, it is also quite challenging. These client organisations are not just spending on the facilities but they are taking their executives away from the front line for a number of days. That is a big cost to them, so they have very high expectations. Coffee at 10.30am means coffee at 10.27am. Projectors that work instantly with no fuss, fresh markers, natural daylight ... are a collection of micro details that make a big impact. Particularly if they go wrong! But the personal touch and close attention to detail by the various managers is also critical. Being available 24/7 on WhatsApp to attend to all needs is the new normal in Killashee. It's not just about conferencing however. There are opportunities for all hotels to drive revenue at every touchpoint, from check-in to departure - and beyond. They might invite a guest at check-in to book a table for dinner or suggest a treatment in the spa. Restaurant and bar team members might up-sell a meal or drink. The list goes on. But of course that requires training on how to do it nicely. Every organisation across industry wants the same three outcomes. They want customers to buy today, to come back again and thirdly, to recommend that organisation to a friend. My experience is that organisations which give customers a great customer experience achieve all of that. It's deeply rooted in their corporate culture.